Yaas, you read that right: 2013. For many years the Quickie Builders Association held its annual Q gathering (the so-called Field of Dreams) in the Midwest, in and around the Kansas City area. 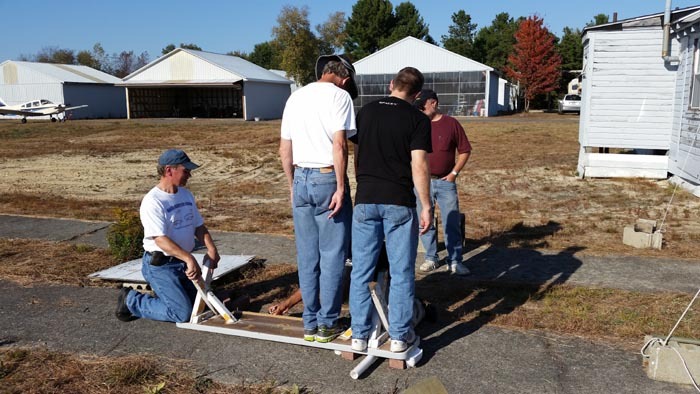 After a more than 20 year history, the Midwest event organizers ran out of gas so up stepped Dave Dugas of Orange Massachusetts (West of Boston) who built his Q2 as QAC originally intended. 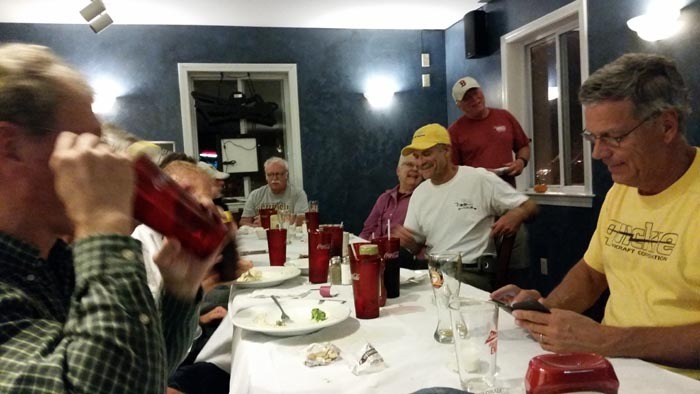 Dave had flown to our Midwest events several times and he decided it was high time we all flew to his N.E. environs for a change. 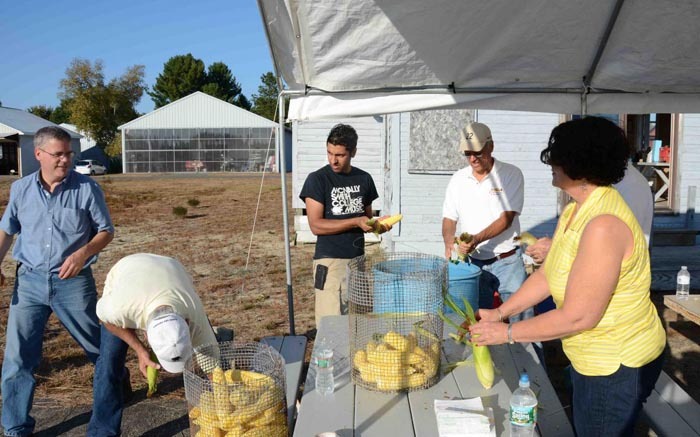 And so he invited us to a "Field of Dreams" event at his base in Orange MA. He enticed us with a promise of lobsters galore. Northeasterners must have a stubborn streak because Dugas was determined to do it again in 2014. This time Mutha Nature couldn't fight the feeling and produced an absolutely outstanding fall weekend … but not without a brief scare of a storm crawling up the eastern seaboard. Nobody wanted to disappoint Dave a second time by being bullied by Mutha Nature, so most of us arrived a day early on Thursday. There was a great deal of variety for the 4-wheelie attendees to see. 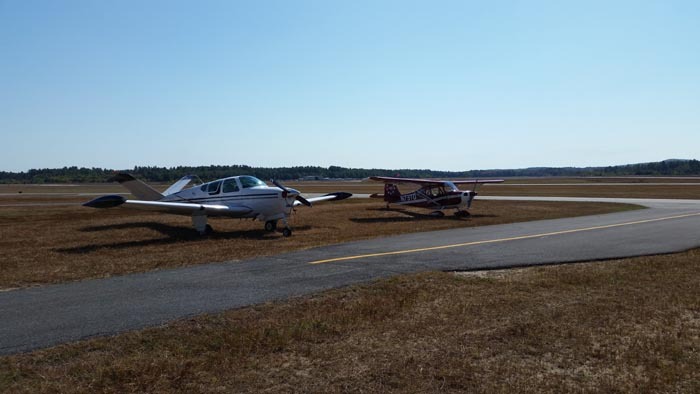 The field has a pair of paved 5,000 foot runways and a small detached chapter meeting house which is adequately plumbed, electrified, chaired and tabled. With most people already in position, Friday was a lazy day featuring folks like the only gurl (Mary Masal), the slowest builder in the west (Sam Kittle), Mister greenshorts (Alan Thayer), Dave's right hand man and Cozy driver (Rod Herzig) and an interloper from Canada (Marc "Bishop", I can't spell his French name) who turned out to be an alright guy after I watched him with my evil eye for awhile. Friday started with fog and a fine breakfast at Sharon's White Cloud Café across the street from the airport. The transient fog gave our "family" a chance to crank up the personalities and get caught up to date with each other. As for me, I was wincing from a painful wrenched back in need of a chiropractor. That's what those tight airline seats can get you if you're too frisky getting out. I was referred to Chuckie Baxter's Chiropractic Clinic. After a Friday sunset we all trekked to Herrick's Tavern/Restaurant very close to the Travel Inn where many of us stayed. Dugas must have some kind of Mojo in Orange as we got ushered in past a crowded dining room to a private one already set up for 20 of us for dinner. We had a most excellent waitress, and very soon the beer limbered up the vocal chords and party time was on the way. Happily, Herricks was only a short distance from the motel so that we could just waddle across the highway (looking both ways as momma taught) and flop into the sack. Saturday morning opened up foggy again so we filled up a corner of Sharon's again just jabbering away and eating while the sky broke out in severe clear. 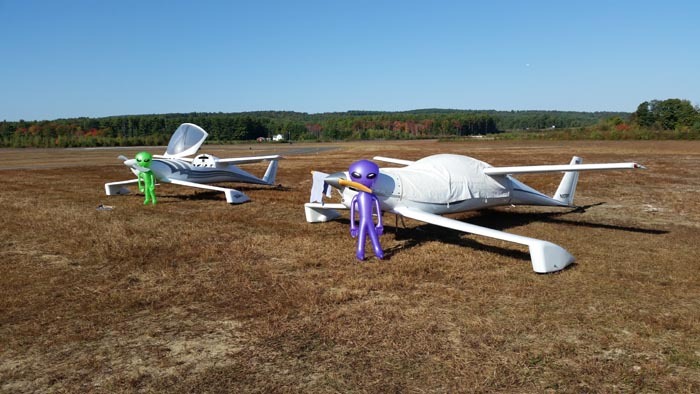 And when it did, it was evident that somebody had a VERY late night on Friday because each Q was festooned with a 3 foot purple or green inflated Alien. This prompted a cacophony of laughing, smiling, and hijinks with the Aliens. After the guffawing and photo opportunities died down, pilots and builders shuffled into the chapter house for a talk given by Jay Scheevel. Now we all know our craft are custom built by individuals with a wide variety of skills and tools. These planes are not like Cessnas or Mooneys built with precision certified factory jigs and fixtures. It follows then that each completed plane differs in performance slightly one from the other. This is evident when pilots discuss the quirks of their individual aircraft. Jay Scheevel found this to be an interesting curiosity. He set out on a self-imposed project several years ago to see if any sense could be made of what exactly caused the differences. He concentrated his focus on thrust lines, canard and main wing mounting angles and the relationship between them. Jay had a disclaimer: This was not NASA quality research and analysis but it was carefully thought out and was a big plateful of food for thought. It was provocative and brain burning. WHEW. It was time to get some lunch and do some flying. Alan Thayer began to circulate the idea of all of us flying somewhere for lunch since we had 6 planes on the field. He just couldn't resist the temptation to do something with them and in fact the skies were clear and remained so with record high temperatures for this time of year. Dave suggested we fly to Keene, N.H. with a nice airport restaurant and only a 15 minute flight away. Those not in planes could drive there easily too. Arrival at Keene was set for 2:00pm. Right on schedule 4 "other worldly" looking aircraft dropped out of the sky with 2 more shortly thereafter. The flight over was a sight to see: little white steepled churches, very, very old and tucked in among the dense trees already turning a deep red. Little towns and villages steeped in history and people on the radio with accents from another time. Lunch was terrific and the service was excellent. The flying got even better for when we got back to Orange we hatched a plan to use Rod's Cozy as a photo plane and snap some air-to-air pic's of whoever wanted to pull by. WOW, the crystal clear blue skies and the great cameras we have in our phones these days made for some stunning pictures even through the plexiglass in the Cozy. And then it was time to shuck some corn, wash a bushel of clams and babysit 60 live "lobstas". At the same time Dan Yager brought out some practice "confidence" layups made per plans for some destruction testing. Sunset began to wane behind the forested western hills straining to show some New England fall colors. A fire was struck and galvanized trash cans full of corn, clams or lobsters in sequence were set to steaming. "All the King's men" (and ladies) were unable to eat all the corn, clams and lobsters set before us (all at a very neighborly cost too!). WOW! We could've used a phalanx of wheelbarrows to get our bellies back to the house. It was a whale of digestion overnight but by Sunday noon everyone had squeezed into the planes along with baggage and a bottle of maple syrup gifted by Dave Dugas and wife Dianna and headed into the sky outbound. To see more coverage of this year's "Field of Dream" check out Jon Matcho's report on the canard zone forums. Kevin Sheely took a pile of foam and glass . . . and turned it into a flying machine! Congratulations on your successful first Flight! Kevin posted the following videos to the Q-list . . . Check them out! Nice First Landing! To read more check out Kevin's Blog. Lance Hooley sent me a couple of quick videos to show the progress he's made on his JetEZ project. He moved from testing the engine to taxi testing! Looks like he will be ripping through the sky in great haste VERY soon! Good luck Lance! In the last issue we talked about how Sam had some trouble ensuring that his LS1 canard was built with the correct shape. Well it turns out that QAC did create a template to help with that . . . I had just never seen it before. Wayne Bressler sent me all of the metal parts from his unstarted Q1 project. I will be making drawings of each of these and making them available to the group. I will also add them to the "Ultimate Quickie Package"
Sam Hoskins is almost finished re-building his LS1 canard. He took good notes (and photos) and I will include them in my effort to update the LS1 plans. The purpose of this index is to help locate information on specific subjects that might be contained within the articles published in the QBA newsletters. The QBA newsletter was started in 1982. It was called QUICKTALK and there were six issues published every year for five years (82-86). A total of 30 issues were published with the QUICKTALK name. The issues were numbered 1 through 30. In 1987 the name of the newsletter was changed to Q-TALK. The issue numbers started over again at number one. There were still six issues published every year. The index is sorted by year. Each line has an issue number followed by a page number.(e.g. 26 7) Remember that issue numbers 1 through 30 are repeated. Thirty issues of QUICKTALK (1-30), followed by thirty plus issues of Q-TALK (1-72). A KEY word follows the page number and then is followed by an article description. If you find any errors in this index please contact me. I will be glad to make the corrections. This index was produced by several QBA members who volunteered their time to research this information. 17 5 HOT WIRING - tip for cutting slots for wires, cables, etc. 20 10 PHOTOS - Q1, Tri-Q and etc. 30 2 PERFORMANCE - Q1 Weight Survey of 110 Quickies...avg. wt 292.4 with over half over 294 lb. 9 8 PROPELLOR - experience with TriQ, 75hp Revmaster, Crowley and DeMuth prop. 12 7 CONTROLS - details of right side stick mount by Ron Whetsten. 12 8 CONTROLS - description of roll trim using elevator push-tubes with parts list. 12 9 TRI-GEAR - nose wheel can strike prop if it rotates 180 degs. Stop installed. 25 1 CONTROLS - Outboard elevator pins lock nuts loose. 25 2 ENGINE - Revmaster oil cooler leaks. 25 2 RUDDER - Nicropress sleeve slipped. 25 2 CONTROLS - Pitch change in rain. 25 3 BRAKES - Modified floating caliper mounting. 25 4 ENGINE - O-200-Engine cooling. 25 4 SPINNERS - Cracking. 25 7 RIGGING - Re-mounting changing canard angle of incidence. 25 8 ROTAX - 503 installing CDI ignition. 25 10 JIGGING - Main wing support during lay-up. Use blue foam. 25 11 FIBERGLASS - Wet out tapes on plastic sheeting. 26 1 PROGRESS REPORTS - Builder input at time of renewals. 26 3 TIE DOWNS - Removable for canard. 26 4 EPOXY - Use vinyl esters in fuel tanks. 26 4 FOAM - Joining blocks for main wing and canard. 26 4 FUEL SYSTEM - Poor seal at fuel door. 26 4 FUEL SYSTEM - Vapor Lock in fuel lines. 26 5 SEAT Belts - Soaked in gas. 26 5 MATERIAL - Attaching misc. fittings to fiberglass. 26 7 ROTAX - Drawing of Jinx Hawks Rotax engine mount. 26 9 ROTAX - 503 mount. 26 9 EPOXY - Vinyl Ester used in fuel tanks. 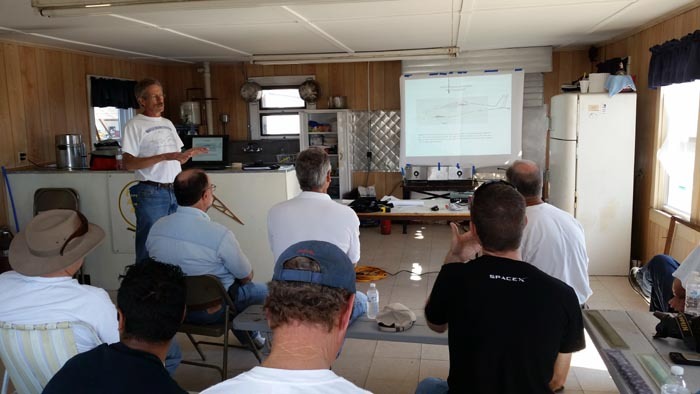 26 10 TRI-GEAR - Retrofit to existing aircraft. 27 4 FIBERGLASS - Don't use automotive trouble light near layups. 27 5 VACUUM BAGGING - Gas pump and motor, lower cost. 27 7 FLIGHT TEST - Paul Fisher first flight. 27 8 BRAKES - Caliper mounting plates with diagrams. 28 2 RUDDER - Intermediate bell crank behind split. 28 2 TAIL SPRING - Modify spring rod. 28 3 REFLEXOR - Usage and c.g. changes. 28 3 FUEL SYSTEM - Fuel in ram air line. 28 3 RUDDER - Fix for rudder wobble. 28 4 COWLING - Access door for checking oil. 28 5 CONTROLS - Electrically adjustable sparrow strainers. 28 6 ROTAX - Considerations Hawks/McCaman. 28 7 ONAN - Block sanding & lapping on flat surface. 28 8 ROTAX - Operational hints. 29 3 EPOXY - Composite Tips. 29 3 JIGGING - Helium neon laser to align wheel pants. 29 5 FUEL SYSTEM - Transfer pump and boost pump. 29 6 FUSELAGE - Corrosion inspection. 29 8 FUEL SYSTEM - Inspect plastic cap. 29 8 BRAKES - Correction to caliper mounting stud. 30 4 FUEL SYSTEM - Leak testing tanks. 30 9 CANOPY - How to replace broken one. 31 2 PROGRESS REPORT - Loberger Q-2. 31 2 PROGRESS REPORT - Kriech Q-2. 31 2 FLIGHT TEST - Howe Q-2. 31 3 ENGINE - Cowl mods and fiberglass baffling. 31 3 FLIGHT TEST - Peay Q-2. 31 4 FLIGHT TEST - Faulkiner Q-2. 31 4 ENGINE - details on oil cooler, baffling, clearances, vapor lock, etc. 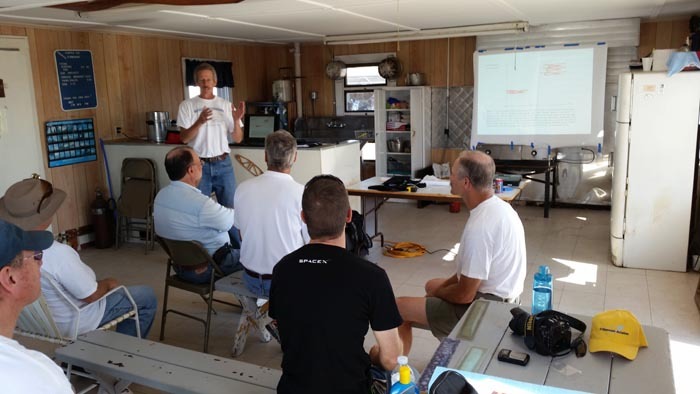 31 4 FUEL SYSTEM - Discussion on fuel tank solar heating and insulation. 31 5 PROGRESS REPORT - Mokrys Q-2. 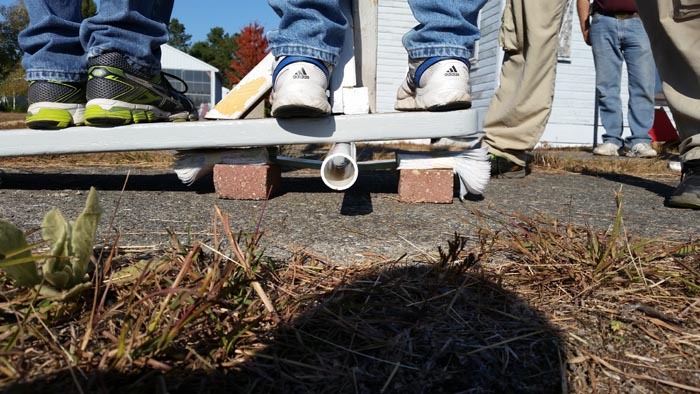 31 5 WHEEL Pants - Brief discussion on main gear axle alignment. 31 5 PERFORMANCE - Varga Tri-Q speeds. 31 5 PROGRESS REPORT - North Q-200. 31 5 PROGRESS REPORT - Warrick Q-2. 31 6 PROGRESS REPORT - Cartledge Q-200. 31 6 RIGGING - Make sure bolts for the elevator torque tubes are tight. 31 6 PROGRESS REPORT - Meyers Q-2. 31 6 PROGRESS REPORT - Bryan Q-2. 31 6 PROGRESS REPORT - Rose Tri-Q200. 31 6 PROGRESS REPORT - Loram Q-2. 31 7 PROGRESS REPORT - Pearson Q-1. 31 7 PROGRESS REPORT - Gall Q-1. 31 7 RIGGING - Modification of AN bolts is dangerous! 31 8 PROGRESS REPORT - Anderson Q-1. 31 8 PROGRESS REPORT - Barttrum Q-1. 31 9 PROGRESS REPORT - Charlton Q-1. 31 9 PROGRESS REPORT - Hardy Q-1. 31 9 ENGINE - Some points on Rotax installations in a Q-1. 32 2 SPINNER - Prevent cracked spinner glue a strip of rubber to prop opening. 32 4 ENGINE - Carburetor over heating due to cowl modification. 32 4 PROGRESS REPORT - Jerome Q-2. 32 4 PROGRESS REPORT - Barker Q-2. 32 4 PROGRESS REPORT - Menke Q-1. 32 5 CONTROLS - Plans for a homebuilt electric elevator trim system. 32 6 REVMASTER - Problems associated with the engine. 32 6 CRASH - Sobay Tri-Q2. 32 7 PROGRESS REPORT - Halloran Tri-Q2. 32 7 PROGRESS REPORT - Hanson Q-2. 32 7 PROGRESS REPORT - Kofler Q-2. 32 8 FLIGHT TEST - Merrill Q-2. 32 8 EXHAUST System - Rapid deterioration of many Revmaster exhaust systems. 32 8 WHEELS - Discussion on axle alignment and control issues. 32 9 PROGRESS REPORT - Martinez Q-200. 32 9 CONTROLS - Throttle quadrant. Replacing plastic knobs with turned metal ones. 32 9 FUSELAGE - Access door in center console for maintenance of stick. 32 9 CANOPY - Provides part numbers of pneumatic strut mounting ball studs. 32 10 CRASH - Starnes Q1. 32 10 PROGRESS REPORT - Fisher Q-1. 32 10 Finishing - Cover a micro filled area with dry micro balloons to make sanding easier. 32 10 Propeller - Prince computer matched Onan with a 53 x 53 propeller. 33 2 PROGRESS REPORT - Jewett Q-200. 33 2 FUEL SYSTEM - Engine quit when header tank ram-air/vent line clogged with fuel. 33 2 PROGRESS REPORT - Medley Tri-Q200. 33 3 PROGRESS REPORT - Cline Tri-Q200. 33 3 PROGRESS REPORT - Nack Q-2. 33 3 FUEL SYSTEM - Not installing fuel squeeze bulb is wrong thinking. 33 4 PROGRESS REPORT - McAndrew Tri-Q235. 33 4 PROGRESS REPORT - Farnum Q-200. 33 4 CANARD - Report on rain effects on LS-1 canard. 33 5 CONTROLS - Modified elevator control by joining elevator torque tubes and control rods. 33 5 CONTROLS - Custom pitch, yaw and roll trim systems installed (pictures). 33 5 ELECTRICAL - Battery box located at FS120. Description of mod with pictures. 33 6 FUSELAGE - How to make a map box with pictures. 33 6 PANEL - How to stiffen instrument panel and make a dash cover. 33 8 REVMASTER - Heads cracked at 380 hours, oil leaks at push rod tubes. 33 8 PILOT Profile - Jim Kibiuk. 33 9 PROPELLER - Effects of prop pitch changes on roll control (Q-1). 33 9 ENGINE - Use of synthetic oil caused multiple leaks. 33 9 ENGINE - Two essential tips for Rotax 503 use in Q-1s. 33 10 PROGRESS REPORT - Laubsch Q-1. 33 10 PERFORMANCE - Q-1 pilot, GU canard says rain will down aircraft w/o Vortex Generators. 33 10 TIRES - Address for a distributor of the Cheng Shin tires. 33 11 FUSELAGE - Joe Stremel, Denver, CO has original molds for the Q2 fuselage. 33 11 CANARD - Possible lead on the LS-1 carbon fiber spar tool and spars. 33 11 SPINNER - Carbon fiber spinner from Composite Aircraft Components. 33 11 JIGGING - Q-1 ground angle of attack should be 7.5 to 7.75 degrees. 33 11 JIGGING - Q-2 ground angle of attack measurement procedure is defined. 34 3 REVMASTER - Cracked case at 280 hours. 34 4 FUEL SYSTEM - Suggested FUEL SYSTEM especially for Q-200. 34 5 EPOXY - Skin sensitivity turned out to be from the latex gloves. 34 5 CANARD - Hold-off mounting canard until later in process. 34 5 PROGRESS REPORT - Cooper Q-200. 34 5 WEIGHT & BALANCE - IBM based program to do W&B for Q-2/200. 34 6 PROGRESS REPORT - Johnson Q-1. 34 6 PROGRESS REPORT - Wells Q-235. 34 7 PROGRESS REPORT - Greatrex Q-200. 34 7 PROGRESS REPORT - Clarke Tri-Q200. 34 7 PROGRESS REPORT - Brandenburger Q-2. 34 8 INSTRUMENT - Manifold pressure gauge attributes and uses. 34 8 PROGRESS REPORT - Mackenzie Q-2. 34 8 CONTROLS - Elevator torque tube attachment modification including pictures. 34 9 TIRES - Source in LA., CA for direct purchase of tires. 35 5 SPINNER - Aluminum sheet with small diameter hose around for FWD bulkhead of spinner. 35 5 CRASH - Groff Q-200 ran out of fuel in header tank with full main. 35 6 PROPELLER - Warp Drive Vs Aymar-Demuth on a Q-200. 35 6 FUEL SYSTEM - Use of auto gas with an O-200. 35 6 PERFORMANCE - Rotax 503 powered Q-1. 35 6 PROPELLER - Precision propeller on a Rotax 503 powered Q-1. 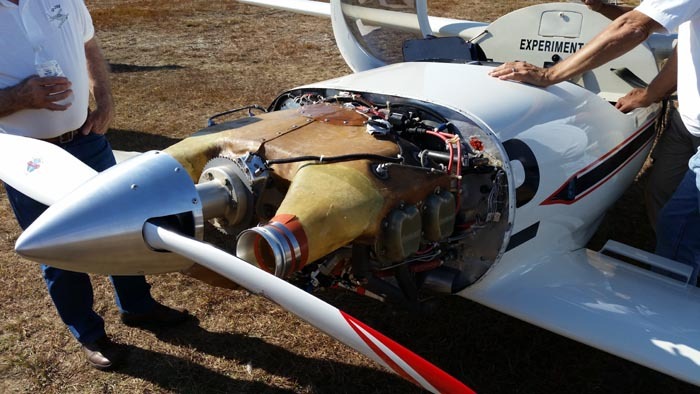 35 6 ENGINE - Rotax 503 jets and settings discussed. 35 7 PROGRESS REPORT - Durham Q-235. 35 7 FINISHING - Extensive article on finishing techniques. 36 2 CRASH - Short Q-2 power loss due to mal-adjusted carburetor. 36 3 REVMASTER - 3 sets of heads, bad valve seats. New heads fixed problems. 36 3 REVMASTER - 3 sets of heads. Poor support by Revmaster. 36 3 TAILSPRING - 5 broken tailsprings to date. 36 4 PROGRESS REPORT - Barlow Tri-Q2. 36 4 PROGRESS REPORT - Lockwood Tri-Q2. 36 4 CARBURETOR - Revflo carb causing the engine to load-up in the mid-range. 36 4 FIBERGLASS - Using drywall tape to maintain weave straightness. 36 5 ENGINE - Cowling mods that reduced cylinder head temperatures. 36 5 CANOPY - Better way to fit canopy. 36 5 ENGINE - Rotax 582 installation and performance in a Q-1. 36 7 ENGINE - Rotax 503 carburetor settings and jets. 36 7 ENGINE - Added 2 1/8O to the Rotax exhaust and improved power. 36 7 ENGINE - performance associated with several Rotax gearbox and propeller combinations. 36 7 ENGINE - New 24 HP Onan engine on the market. 36 7 CANARD - Arrow fletchings make great vortex generators. 36 7 PROGRESS REPORT - Homsley Q1. 36 8 PERFORMANCE - O-235 engine in a Q-235. 36 8 FINISHING - A flap-wheel with plastic bristles, effective as sandblasting, without mess. 36 8 WHEEL PANTS - Inboard landing gear, ala DFly Mk 2, works great. 36 8 PROGRESS REPORT - Kuhlman/Dirks Q2. 36 8 PROGRESS REPORT - Derr Tri-Q. 36 10 CONTROLS - How to make an adjustable mass balance weight (w/ drawing). 36 11 CANARD - A unique method for installing the canard using a custom sling. 37 1 PROGRESS REPORT - Weber Q-200. 37 1 PROGRESS REPORT - Dixon Q-2. 37 1 PROGRESS REPORT - Nelson Q-2. 37 1 PROGRESS REPORT - Bertrand Q-2. 37 1 PROGRESS REPORT - Porter Q-2. 37 1 PROGRESS REPORT - Schuckler Q-2. 37 1 PROGRESS REPORT - Pettit Q-1. 37 1 PROGRESS REPORT - Angelo Q-1. 37 1 PROGRESS REPORT - Kibiuk Q-1. 37 1 PROGRESS REPORT - Varga Tri-Q2. 37 1 PROGRESS REPORT - Martinez Q-200. 37 1 PROGRESS REPORT - Young Q-1. 37 2 PROGRESS REPORT - Granzella Q-2. 37 2 PROGRESS REPORT - Polander Q-200. 37 2 PROGRESS REPORT - Davis Q-2. 37 2 PROGRESS REPORT - Greenwood Tri-Q200. 37 2 PROGRESS REPORT - Blevins Q-2. 37 2 PROGRESS REPORT - Brown Q-2. 37 2 PROGRESS REPORT - Collier Q-200. 37 2 PROGRESS REPORT - Zimmerman Q-2. 37 2 PROGRESS REPORT - Kisthard Q-2. 37 2 PROGRESS REPORT - Lowder Q-2. 37 2 PROGRESS REPORT - Marstall Q-2. 37 2 PROGRESS REPORT - Starns Q-1. 37 2 PROGRESS REPORT - Nack Q-2. 37 2 PROGRESS REPORT - Wilcox Q-2. 37 2 PROGRESS REPORT - Hogan Tri-Q. 37 2 PROGRESS REPORT - Butler Tri-Q. 37 2 PROGRESS REPORT - Buell Q-2. 37 3 PROGRESS REPORT - Craft Q-2. 37 3 PROGRESS REPORT - Ahler Q-2. 37 3 PROGRESS REPORT - Fairchild Q-2. 37 3 PROGRESS REPORT - Doyle Q-2. 37 3 PROGRESS REPORT - Fisher Q-1. 37 3 PROGRESS REPORT - Jackson Q-200. 37 3 PROGRESS REPORT - Drake Tri-Q. 37 3 CANARD - Skin de-bonding; How to check for it and how to fix it. 37 4 PROGRESS REPORT - Laubsch Q-1. 37 5 CRASH - Falkiner Q-2 and associated canard damage. 37 5 SPRING GEAR - Faulkiner's modified Q-2 with spring-type gear. 37 7 PILOT PROFILE - Earnest Martin. 37 7 CRASH - Martin Tri-Q. 38 2 BELLY BOARD - stock belly board from Velocity kit. 38 2 REVMASTER - Cooling problems. 38 2 FUEL SYSTEM - Plumbing. 38 2 LIGHTING - Information on landing lights. 38 4 CANARD - Half page on method used to mount elevator (slots are already in place). 38 4 ELECTRICAL - Switch ratings AC/DC Don't use AC switches instead of DC ones. 38 5 INSTRUMENTS - Micro Encoder kit, Multi-functional display. 38 7 FLIGHT TEST - Report of first flight. 38 7 CANARD - Vortex generators. 38 7 ENGINE - cooling baffling using BID shroud. 38 8 TRI GEAR - Availability from Scott & Duane Swing. 38 9 FUEL SYSTEM - Auxiliary fuel tank installation in baggage compartment. 39 3 BALLISTIC CHUTE - Harold Drake has installed a ballistic chute in his Tri-Q. 39 3 ENGINE - Slick 50. Gained 200rpm at idle and engine seemed to run smoother at 2600rpm. 39 3 ENGINE - Onan cowling. 39 3 INSTRUMENTS - ELT antenna installation. 39 4 CRASH - Onan problem. 39 5 FUEL SYSTEM - Leaks and location. 39 5 ENGINE (Q1) - Hirth installation. 39 6 SPARROW STRAINER - Glass sparrow strainers properly. 39 6 ELEVATOR - add dowels to elevator to prevent flexing between torque tube and foam. 39 6 RUDDER - Area and effectivity. 39 6 TIRES - Cheng-Shin replacements. 39 6 REVMASTER - Oil leak. 39 7 REVMASTER - Plug thread replacement. Exhaust replacement. 39 7 RECORDS - Keep photocopy of log books. Consequences of loss. 39 7 CANARD - Resetting angle of attack. 39 8 TOOLS - Caution. Jon Finley used an orbital sander to remove paint . 39 8 PROP - One way to refinish a wooden propeller..
39 8 ENGINE - Rotax engine failures, maintenance. 40 2 ELECTRICAL - lightweight starters for 0-200 that will save 6 POUNDS in Sept 93. 40 2 REVMASTER - Cracks in bearing areas. 40 5 PROP - Uses Warp drive prop in his Q2. 40 5 FLIGHT REPORT ???? 40 5 ENGINE - Glass baffling installation. 40 6 FLIGHT TEST - Determine Best Glide Speed. 40 9 ENGINE - Zenoah installation. 40 9 RUDDER - Enlarged area no help. 40 9 MAIN Wing - Collapse due to fuel in foam. 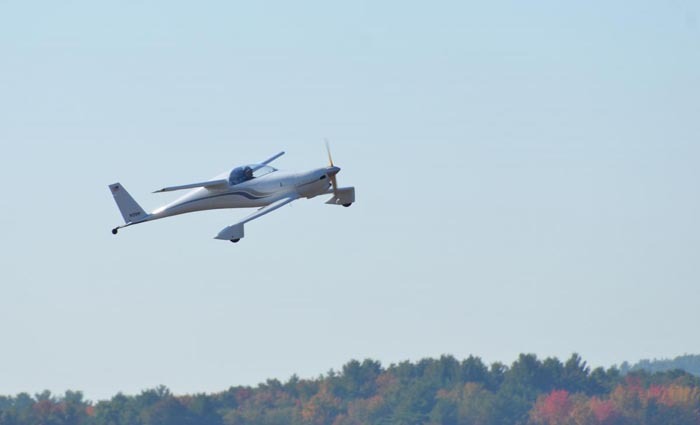 40 9 FLIGHT TEST - First flight report. 40 11 CANARD - Carbon spar availability at CACI. 40 11 GENERAL - Reinstating medical. 41 2 TRI GEAR - Landing technique. 41 6 RUDDER - Mount the fin to the lower fuselage shell before joining top/bottom shells. 41 6 RUDDER - This gives easier routing of rudder cables and firmer mounting. 41 6 ENGINE - Rotax and use of 100 LL. 41 6 ENGINE - Oil temp problem. 41 7 TOOLS - Magneto timing buzzer. 41 9 FIBERGLAS - O-200 cowling molds and fixture for Q-200 exhaust system. 42 1 PERFORMANCE - Data. 42 2 FLIGHT TEST - HP Vs: Speed Table. 42 4 INSTRUMENTS - Communication antenna. 50% increase in range with this design. 42 6 FLIGHT TEST - Information. 42 6 ENGINE - 0-200 Oil cooler. 42 7 ENGINE - Air inlets. Smiley inlet no good with Warp Drive prop. 42 8 FUEL SYSTEM - Leaks. 42 8 TRI GEAR - Drag brake design. 42 8 CANARD - Sparrow strainer installation. 42 9 INSTRUMENTS - Tach wiring, right and wrong. 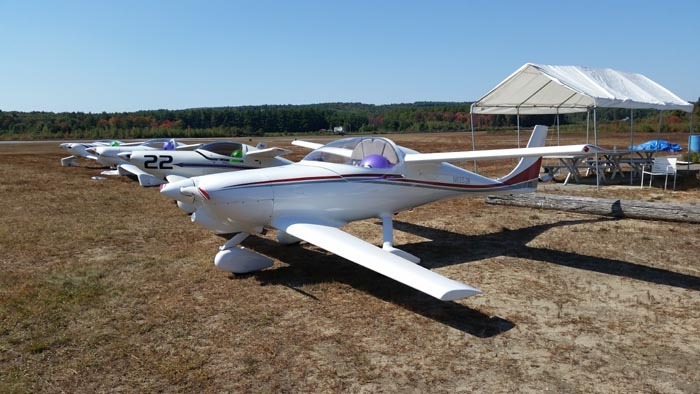 43 1 PILOT PROFILE - Brian Martinez on the frustrations and joys of airplane building. 43 4 ROTAX - Ignition problems that was caused by bad points and condensers. 43 7 ENGINE - Clive Clapham's start at putting a Lycoming O-235 in the Q-2. 43 8 VACUUM BAGGING - Cheap ideas on making the parts necessary for vacuum bagging. 43 8 ONAN - Problems Keith Welsh had with his Onan's Cam shaft causing it to lose power. 44 1 FUSELAGE - making major airframe mods - read this before changing anything! 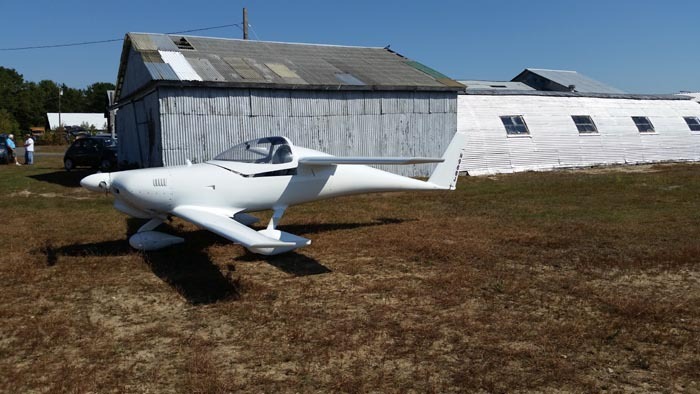 45 4 PROGRESS REPORT - Walt Halloran fly a Tri-Q with no problems. 46 10 PROGRESS REPORT - The finest picture of Ottawa ever taken! 49 2 FUEL SYSTEM - Comments on successes in fuel tank durability and why. 49 2 ONAN - Good reliability after making QBA recommended modifications. 49 3 ENGINE - O-200 Drawing and instructions on making a Pull-Start Apparatus. 49 4 SUBARU - EA-81, description of modifications. 49 4 FINISHING - FeatherLite failed to harden; West System works great. 49 4 VORTEX GENERATORS - Comments on Q-1 performance with and without. 49 5 ENGINE - Information on turbo/fuel injected Rotorway engine in Q-2. 49 5 PROGRESS REPORT - Koutz Q-200. 49 6 PROGRESS REPORT - Lockwood Tri-Q. 49 6 TRI-Gear - Hard landing may cause nose gear to break loose and rupture main fuel tank. 49 6 PROGRESS REPORT - Huss Q-1. 49 7 FINISHING - Overview of System 3 usage with good results. 49 7 PROGRESS REPORT - Granzella/Smiley Q-2. 49 8 PROGRESS REPORT - Barlow Q-200. 49 8 BRAKES - 1/8 aluminum tubing fits inside existing Nylaflow tubing. 49 8 PROGRESS REPORT - Hanson Tri-Q. 50 3 VORTEX Generators - Good performance with fewer VGs. 50 3 CONTROLS - Sparrow strainer affects after loss; elevator response at high speeds. 50 3 REVMASTER - Engine cases made in Mexico may not be of high quality. 50 3 PROPELLERS - Sterba, Aymar-Demuth and Warnke are good. 50 3 FUEL SYSTEM - Use of automotive fuels and it's affects on fuel tanks. 50 4 PROGRESS REPORT - Mapes Tri-Q. 50 5 ENGINE - Air-Oil Separator; how it works and how to install. 50 5 ROTAX - Early Dual CDI failures. 50 6 PROGRESS REPORT - Thayer Q-1. 50 6 ENGINE - O-200 Remedy for ignition wire clearance problems. 50 6 FLIGHT TEST - Hildebrand Q-200 taxi and FLIGHT TESTS. 50 6 TAIL Wheel - Maule tail wheel on a Q-200. 50 7 REFLEXOR - Control sensitivity, operation and location of a reflexor. 51 1 PROGRESS REPORT - Touchet Q-200. 51 2 PROGRESS REPORT - Crouch Q-1. 51 3 FLIGHT TEST - Crouch Q-1. 51 3 ONAN - On carb heat, operational temps, mixture control, baffles and oil filter. 51 4 PROGRESS REPORT - Farnum Q-200. 51 4 PROGRESS REPORT - Ham Q-200. 51 4 INSTRUMENT - Microprocessor allows a hand-held GPS to interface with autopilot. 51 4 ENGINE - Filtered induction air. 51 4 PERFORMANCE - Flying a canard aircraft (D-Fly) for the first time. 51 5 FINISHING - SuperFil works well. 51 5 ENGINE - Dipstick modification to avoid access door. 51 5 ENGINE - Home made engine baffle material. 51 5 ENGINE - Buy Aeroshell through Sam's Club at $1.33/ qt. 51 5 VORTEX GENERATORS - Lower speed by 2 mph, but lower stall by 8 mph. 51 6 REVMASTER - List of modifications to improve performance. 51 6 ENGINE - Firewall sagging and a new engine mount to fix it. 51 6 PROPELLER - Broken bolts; IvoProp checkout; Warnke troubles. 51 7 REFLEXOR - A very positive modification. 51 7 CRASH - Q-2 Weight & Balance error from a new propeller probable. 51 8 ROTAX - 583 installed in a Q-1. 51 8 PERFORMANCE - Rotax 583 powered Q-1. 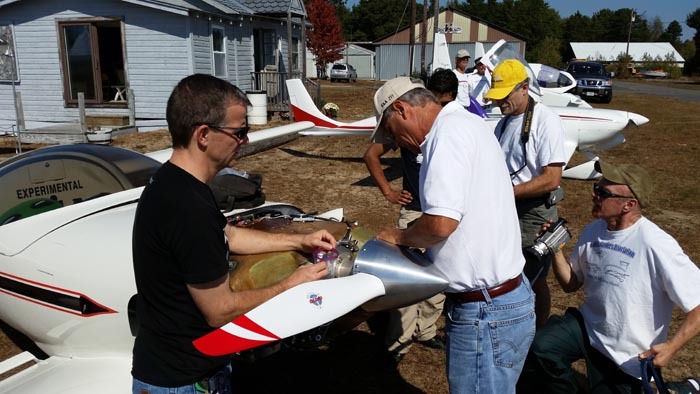 52 3 ENGINE - Installing a Lycoming O-235. 52 4 PROGRESS REPORT - Hawkins Q-1. 52 4 FINISHING - System 3 primer report. 52 4 PROGRESS REPORT - Colomb Tri-Q. 52 5 FUEL SYSTEM - Advantages of aluminum fuel tanks. 52 5 PROGRESS REPORT - Sorrels Tri-Qbaru. 52 5 PROGRESS REPORT - Bates Q-2. 52 6 ENGINE - Electronic Ignition for $775. 52 6 CRASH - Q-1 in New York. 52 7 PROGRESS REPORT - Wooton Q-2. 52 7 ENGINE - O-200 - About offset angles. 53 3 CANARD - Ways to remove sag from a canard. 53 3 FUSELAGE - How to make a cowling from scratch. 53 3 PROGRESS REPORT - Greenwood Q-2. 53 4 PROGRESS REPORT - Kennedy Q-2. 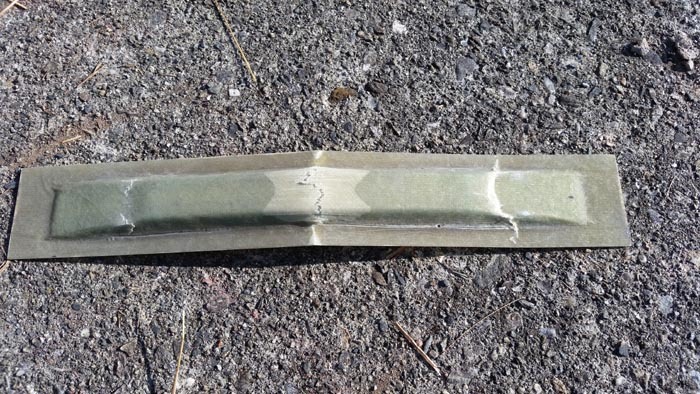 53 4 CRASH - Q-200 tail wheel hinge pin broke. 53 4 CRASH - Q-2 flat tire on landing. 53 4 PERFORMANCE - Kuhlman/Dirks Q-2 with Revmaster engine. 53 5 FUEL SYSTEM - results of Fuel Soak tests using epoxy laminate samples. 53 5 PROGRESS REPORT - Walterson Q-1. 53 5 FINISHING - Filling tips; How to thin micro. 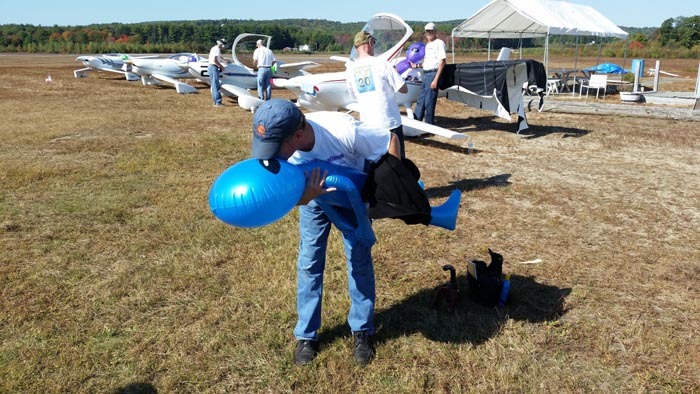 53 5 JIGGING - Tips on mounting wing and canard to the fuselage. 53 6 PROGRESS REPORT - Morrison Q-2. 53 6 CRASH - Q-2; after inadvertent take-off during high speed taxi tests. 54 2 ENGINE - Stuck valves and how to fix them without removing the cylinder. 54 4 FLIGHT TEST - Martinez Q-200. 54 7 INSTRUMENTS - NavAid Devices Autopilot. 54 8 INSTRUMENTS - Porcine Associates GPS coupler. 54 9 RECORDS - Carlson Q-2 wins in Copperstate Dash. 60 6 PROGRESS REPORT - Tri Q200. Replacement parts, elev. torque tube bond, trim. 72 5 FUEL SYSTEM - fuel tank installation by Kris Browne Belle River, Ontario, Can. If you're thinking about building or buying a Quickie or Dragonfly you need to attend one of the events below. and talk to the people who build and fly them. There's always something at SUN 'n FUN for everyone. 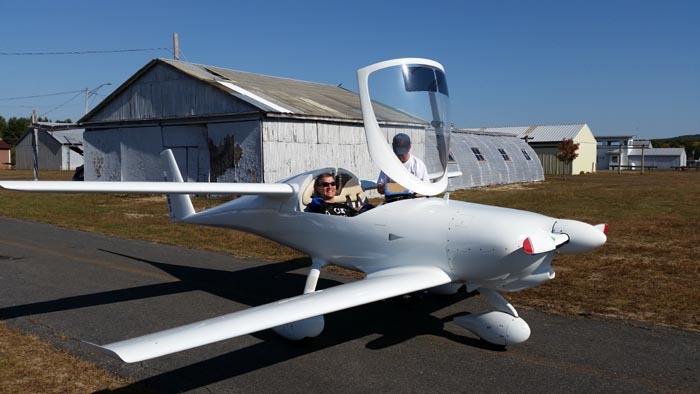 Whether you're actively involved in aviation or an aviation enthusiast, SUN 'n FUN has an activity for just about every interest. Jerry Marstall is hosting a Quickie Builders forum. Kevin Boddicker will once again host the Tandem-Wing "Spring Fling" at the Decorah Municiple Airport (KDEH) May 30th - June 1st, 2014. There are several local hotels with reasonable rates and primitive camping will be allowed. DEH is a fine place for a fly in, and the airport manager and his wife roll out the red carpet. Hot lunch and all. No fees for hanger space. Courtesy car. They enjoy having us there. 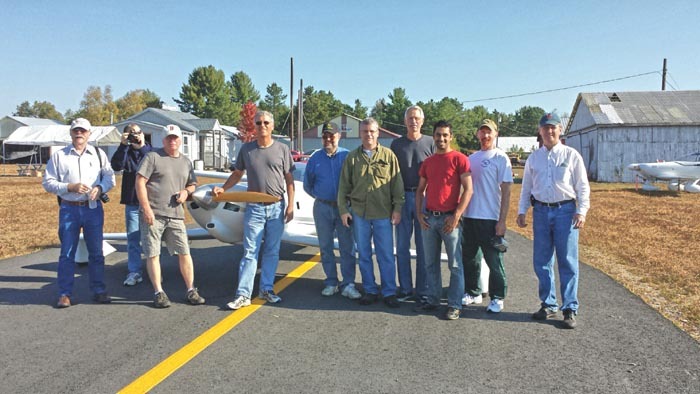 For 51 weeks a year, EAA is an international community of more than 160,000 members that nurtures the spirit of flight through a worldwide network of chapters, outreach programs, and other events. But for one week each summer, EAA members and aviation enthusiasts totaling more than 500,000 from more than 60 countries attend EAA AirVenture at Wittman Regional Airport in Oshkosh, Wisconsin, where they rekindle friendships and celebrate the past, present and future in the world of flight. You name it, there's likely an example of it at Oshkosh. Doug Humble will host a QBA Type Club Meeting, held on the patio at the Homebuilders HQ Thursday, July 31st at 8:30 to 10 AM. 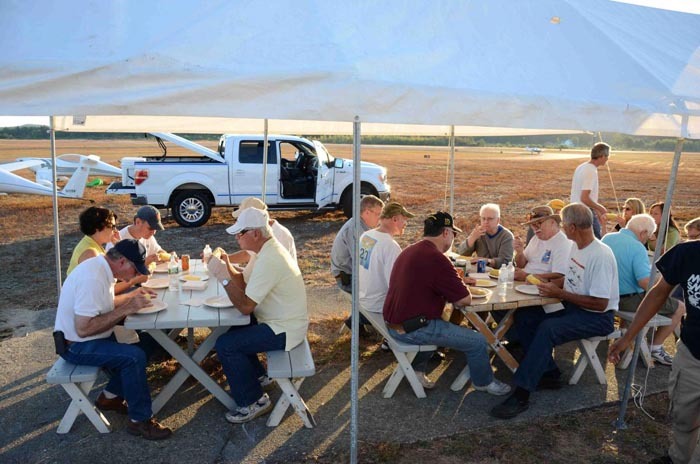 We're all set at ORE for the 24th (I think) Annual Field of Dreams Tandem Wing Fly-in, to be held Friday-Sunday September 26-28, 2014. There is a very convenient motel less than a mile from the airport. It's the Executive Inn, and is reasonably priced; $65.00 for a single room, $70-$75.00 for a double room. The $65.00 and $70.00 rooms are 1 bed, $75.00 for 2 beds. The Executive Inn isn't fancy, but I had a tour, and it was clean and the $75.00 room that I was shown is large and had a small refrigerator. It has 28 rooms. The phone number is 978-544-8864. I know it's a little early but when you reserve a room let me know how you make out. Making Posa Carbs REALLY work!